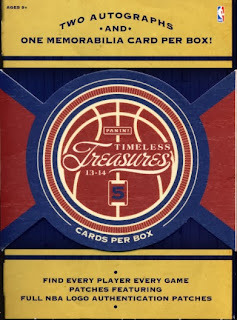 The familiar tin is gone but that’s about all you will miss with 2013-14 Panini Timeless Treasures Basketball. 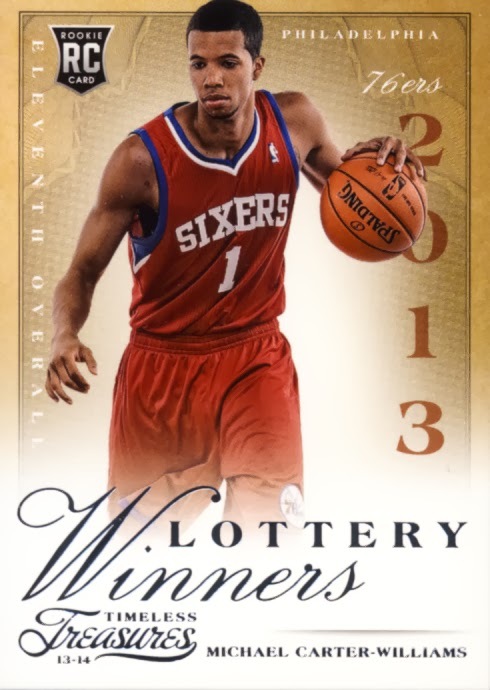 It still provides a great break with cards that are pushing the innovative envelope. 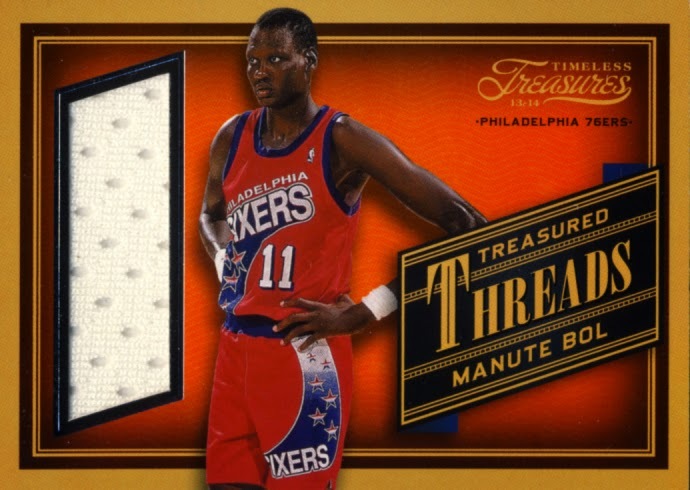 With added value like parallel inserts of rookie draft picks numbered to their draft position, embedded acetate autographs offered as an alternative to stickers, and 1/1 oversized "every player every game" laundry tags, Timeless Treasure should be on your purchase list. We classify Timeless Treasures as premium cards. 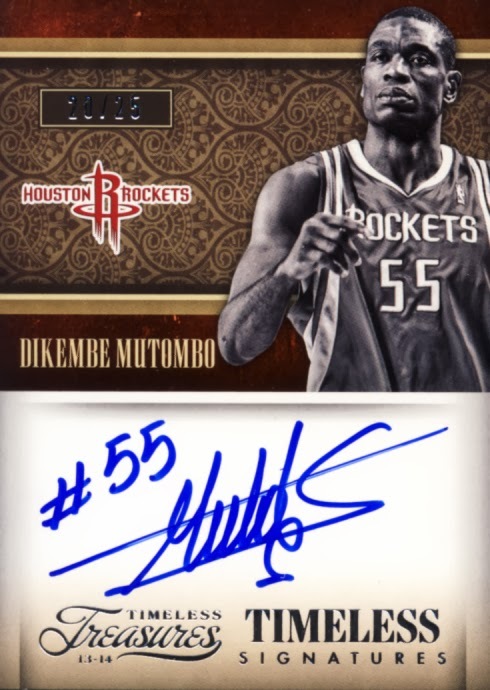 Each hobby box contains 5 cards with the promise of three hits and at least two autographs per box/tin. Here is a look at the cards we pulled. This year’s design is refined and bold with smart foil accents. The use of signed acetate embedded in rookie autos works fantastically. The only drawback is the lack of numbering on some of the base hits. 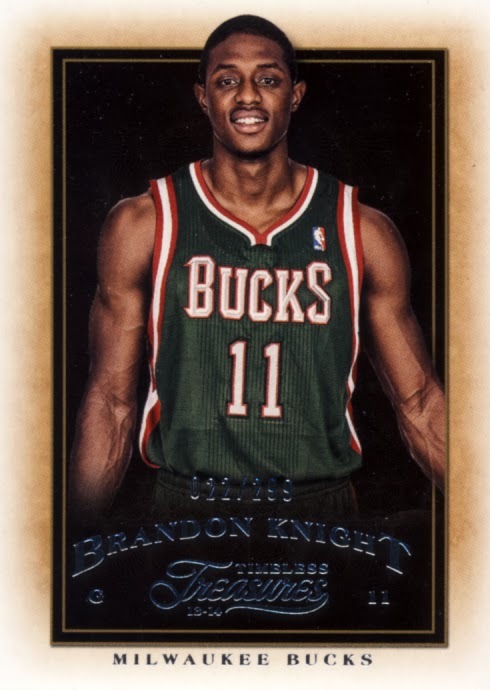 This still is a great place to pick up hot rookies but the rest of the veteran/retired checklist provides some nice balance. There is the possibility to pull some big proven names, though on a limited basis and hot rookies like Carter-Williams and Oladipo so there is plenty to satisfy. The reasonable entry price point combined with the great looking design and checklist makes this an easy multiple box purchase. 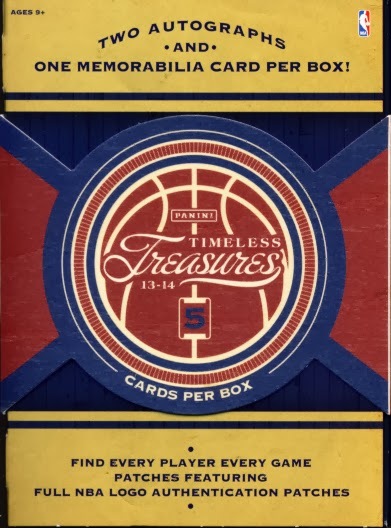 2013-14 Panini Timeless Treasures Basketball may no longer offer the tin but it still delivers on the value found within. Nikola must have signed a ton of cards saw a box break on Panini and they pulled the same one you have in this box interesting!